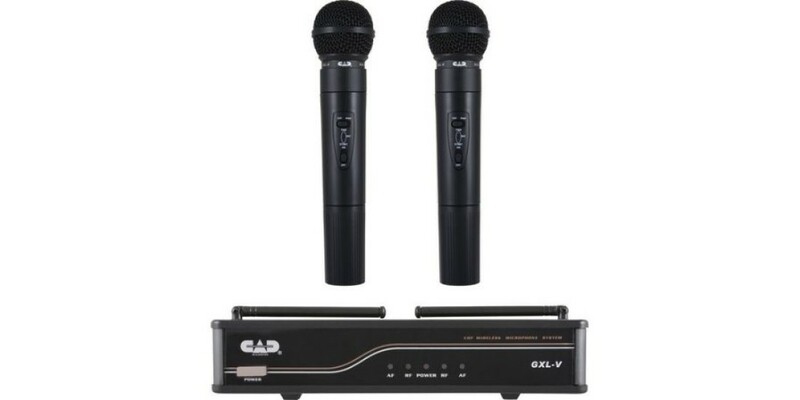 The CAD VHF Dual Channel Handheld Wireless Microphone System (CH: H) is intended for live sound reinforcement. 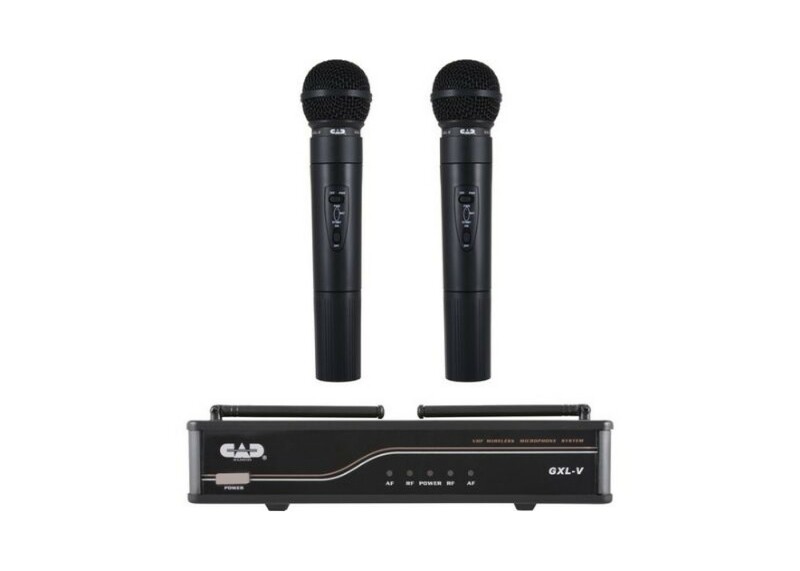 The system consists of two handheld wireless dynamic microphone transmitters and a two-channel VHF receiver station. The handheld microphones feature on, off, and mute functions to conserve battery life. They operate on one 9V battery and will last for more than 10 hours before requiring recharge or replacement. The dual-channel receiver features a power button and LED indicators for power, radio signal, and audio signal. The back of the device includes a DC power jack, volume controls for channels A and B, balanced XLR connectors for channels A and B, and an unbalanced 1/4" connector for channel B. The top of the device features a recessed compact dipole antenna for improved reception of the VHF spectrum.